Metcalfe's, Get Fruity, Cape Drinks, Cirio, Miso Tasty, Hartley's, Teisseire Sirop, Say Yes to No, Mrs Crimble's, Chia Bia. My little boys where chuffed to see the little Hartley's jelly pots again, they love those, and they are perfect for pack lunches. The Metcalf Popcorn thins where delicious!! I need more of these ASAP, they had such a nice texture and flavour, I wasn't expecting to enjoy them that much to be honest. 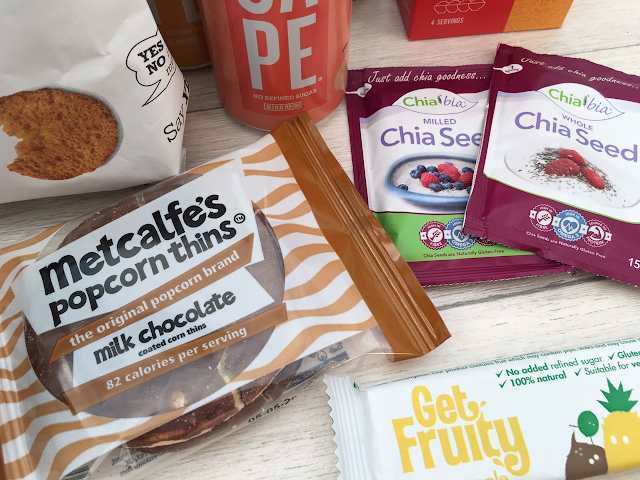 I was happy to see the little chia sachets from Chia Bia, i always use chia seeds they are an amazing superfood with lots of health benefits. I put them in my oats, shakes and chia puddings are always good too. I haven't tried a ground version of chia seeds so this one would be good to add to my protein shakes so I don't end up choking on them haha. I have never tried Borlotti Beans before nor heard of them..just me? so I'm yet to find something to use these in. The Teisseire Raspberry and Cranberry cordial is rather nice, and something that will always be used in the house. 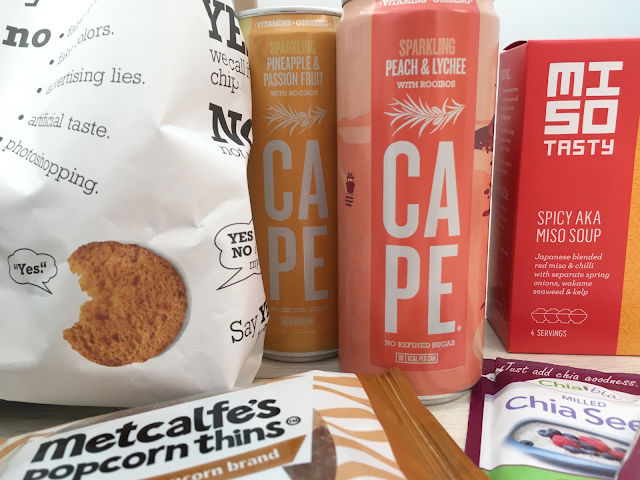 The only things i wasn't quite sure on was the Say yes to no bbq bread chips, the flavour didn't really do it for me, also the Get Fruity bar as I'm not a fan of the flavour either. I'm yet to try the Cape drinks, Mrs Crimble's pasta, and the Miso Tasty soup but I'm sure they'll be a hit! 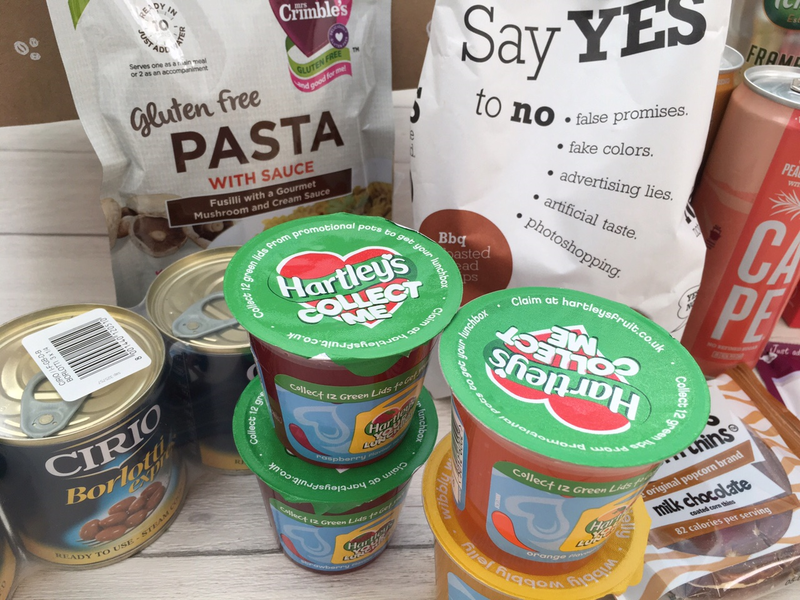 Overall it wasn't a bad box, everything has either gone or will get used, so it's never really a waste of money as you can try an array of things. 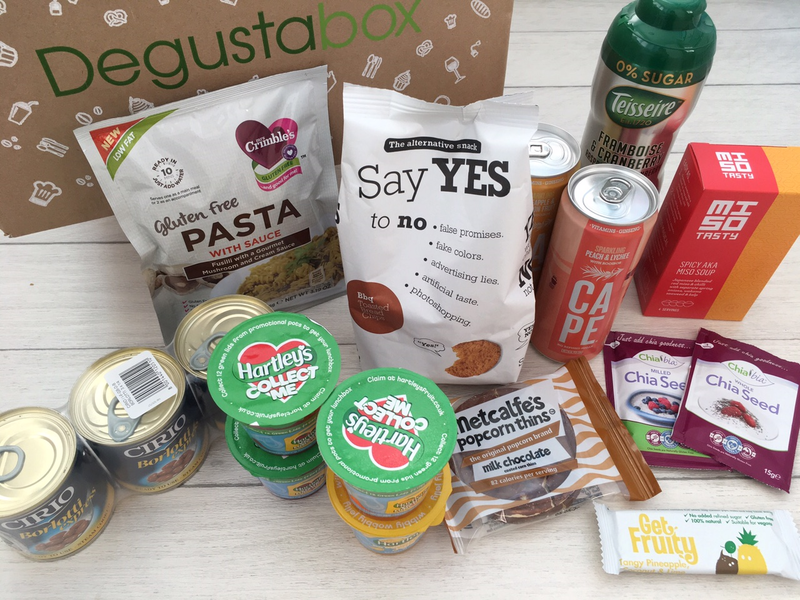 Degustabox retail for £12.99 a month but use the code BLDEG15 and get a massive £7.00 off your first box! making it just £5.99 - can't really go wrong with that can you!